Researchers at the Salk Institute for Biological Studies in La Jolla, California have identified the safeguards preventing neural stem cells from dividing indefinitely, ensuring that a pool of such cells remain available to the brain throughout each person’s entire life. The recent study focused on the hippocampus region of the brain and the role bone morphogenetic factor protein plays in controlling stem cell growth in the area. The research team led by Dr. Fred Gage discovered active signaling of bone morphogenetic factor protein (BMP), indicating activity between the protein and its receptors, when the neural stem cells are not dividing whereas the same signaling is inactive whenever the stem cells are dividing. Further, the scientists were able to move neural stem cells from inactive to active stages by introducing another protein which binds with the BMP, preventing it from binding to the receptors and initiating the signaling. 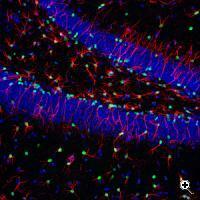 This effect was confirmed in both artificial neural stem cells and in the stem cells of mice. If the cell division is permitted to continue for extended periods of time, the stem cell population becomes depleted and no cells are available when they are most needed by the brain. Extended periods of cell division can also increase the likelihood of tumor growth, so the use of BMP to control cell growth may be a natural defense mechanism developed by our bodies. The scientists are also speculating that extended periods of quiescent neural stem cells make it more difficult for the cells to divide once the BMP signaling is stopped. This may explain why it seems to be harder to generate new brain cells as people age. TFOT has previously reported on other stem cell research including the use of stem cells to grow dental implants in place, a method of turning connective stem cells into human bone and cartilage, a way to control the differentiation of stem cells into specific tissue that could lead to custom grown replacement parts and cell replacement therapies, a method of preventing tumor growth in stem cells, and a video describing how hair follicles can be a source of stem cells. 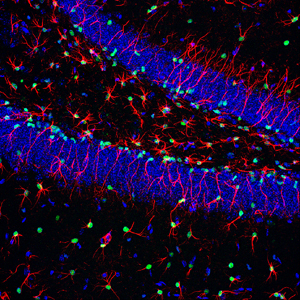 Read more about this neural stem cell research in this Salk Institute press release.